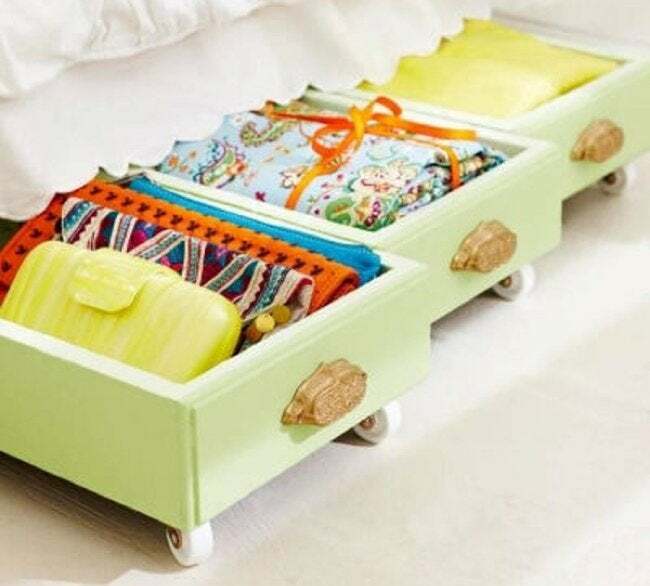 Creative do-it-yourselfers have repurposed drawers in surprising ways you might never have imagined. Dusty suburban basements and chockablock urban thrift stores have no shortage of neglected old furniture with marred tops, broken runners, and chewed-up legs. If Aunt Mildred’s shabby hand-me-down dresser is occupying valuable space that you’d like to reclaim, hold off on dragging that thing to the curb. Take a minute to consider these creative ways to repurpose drawers into unique and useful pieces for today’s home. 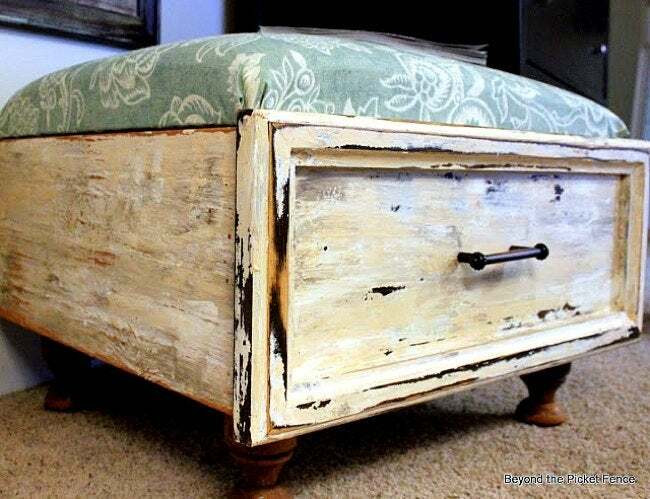 Light upholstery and the addition of storebought table legs transform a dated drawer into a versatile storage ottoman. To make the cushy removable top, start with a board that fits the opening, then wrap and staple your choice of fabric over a layer of foam. Quick and easy to do; quirky and charming once done. Drab and sad walls? Here’s an idea: Repurpose drawers as wall planter accents. Simply fasten the old drawers onto mountable boards; paint the assembly in a bold hue; and use appropriate wall hanging hardware to mount your handiwork. 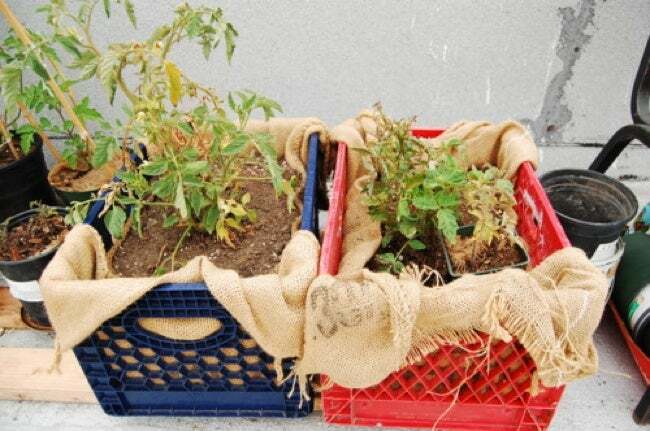 The final, most fun step is to fill the drawers with potted flowers or herbs. 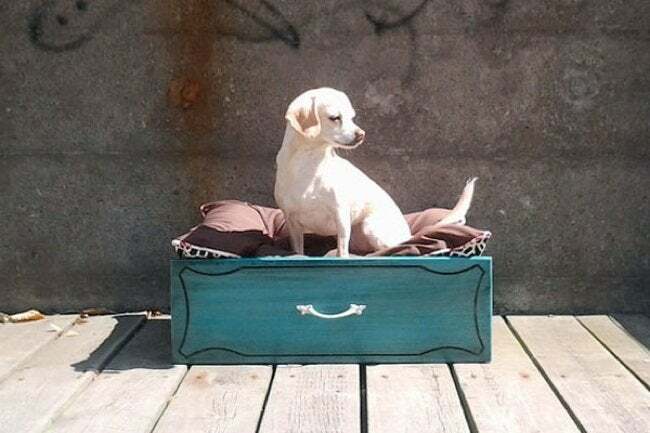 Creating a fashionable, cozy little bed for furry friends is another way to repurpose drawers. Because the project demands so little—only painting and placing in soft bedding or a pillow—this might be a wonderful adventure in DIY for kids. The only thing to worry about is that Fido may never sit on your lap again! Where there’s one drawer, there’s usually more than one, right? So if you’ve taken a set of them from a vintage dresser, try fixing casters to their undersides. Done! That’s how readily and inexpensively drawers turn into under-bed storage units, infinitely more attractive than those clear plastic bins. Repurpose drawers with organizing inserts into quirky display shelves, which almost seem as if they were originally built for that function. 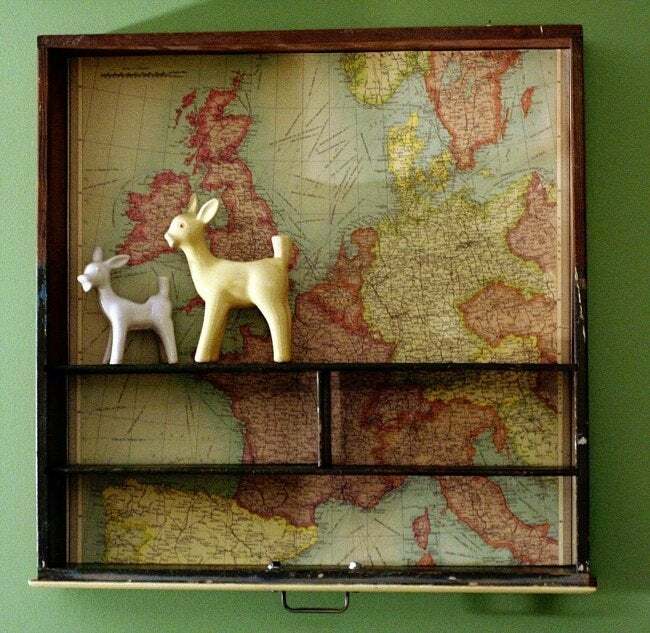 To make yours even more visually interesting, adhere wrapping paper, an old map, or a fabric square to the drawer bottom. Now your tchotchkes will truly stand out!